At first glance, room 167 may seem like any other, but newly-hired special education teacher Aidan Owens explained that there is so much more than what one can see on the surface. Mr. Owens teaches in both the PIP and AIMS programs here at ARHS. PIP (Pathways to Independence Program) caters to students with complex disabilities and teaches important life skills such as self-advocacy, independent life skills, and vocational skills. “My job as a teacher is to help give my students the skills to have a happy, successful, and an independent adult life,” said Mr. Owens. The other program he works with is AIMS (Academic Individualized Mainstream Support), which is an academic skills program for students on the autism spectrum. In AIMS, students work on executive functioning, community engagement, self-advocacy, and transition planning. Originally from New York, Mr. Owens moved to Massachusetts to attend Hampshire College where he studied ethnomusicology, the study of music from different cultures, and special education. “My main focus was on Ewe music from Ghana, and, specifically, teaching this music to students with disabilities,” said Mr. Owens. He is currently pursuing his master of arts in teaching in special education at Mount Holyoke College. Before coming to ARHS, Mr. Owens taught at a music school for young adults with disabilities. “I have always been passionate about working with students with disabilities, and love to integrate the arts into my teaching,” said Mr. Owens. As a new teacher entering the school community, Mr. Owens says that he is “thrilled to be working at a school that is so focused on inclusion, student success, and social justice.” He explains that working at ARHS is great because of its supportive and diverse community. 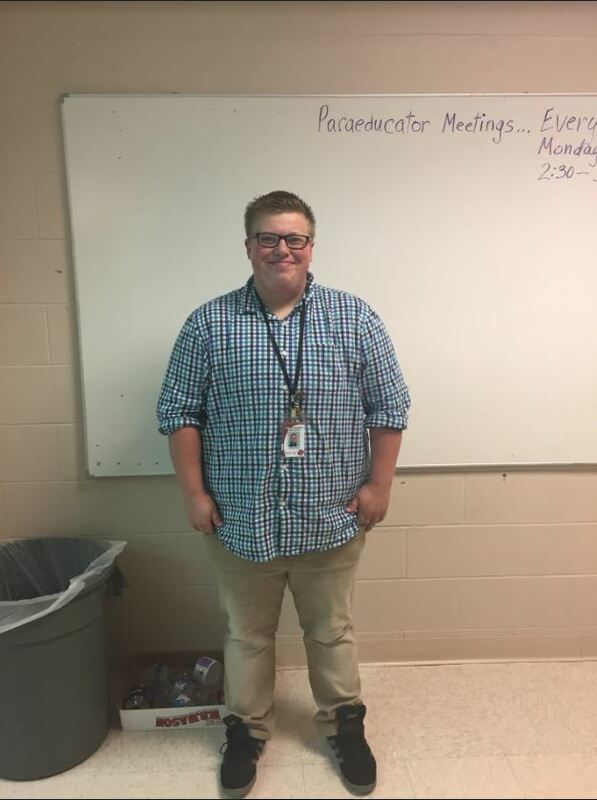 He discusses the alternative lunch space in room 160 or clubs such as Best Buddies that provide a way for students to connect with peers that they may share a school with but not have an opportunity to interact with. As a special education teacher, Mr. Owens has been confronted with the incredibly negative and harmful stereotypes about his students. Mr. Owens added that academic success is just one of the ways to be “smart” and that every person has something meaningful to give back to the world. Connecting with students and seeing them succeed is the best part of his job but he acknowledges that there are both good and bad days. “The hardest thing for me is feeling like I’m not reaching my students in the way that is best for them,” he said. “However, this pushes me to always be reflecting on myself and my teaching, and changing what I’m doing so I can make sure all of my students are benefitting. Even on a hard day, seeing my students succeed and learn new things makes it all worth it,” added Mr. Owens. Previous story Paying to park: where does all the money go?